Dozens of inner city children were treated to a tea party and healthy lunch Saturday afternoon at the Sankofa Cultural Arts Center in the Austin neighborhood. 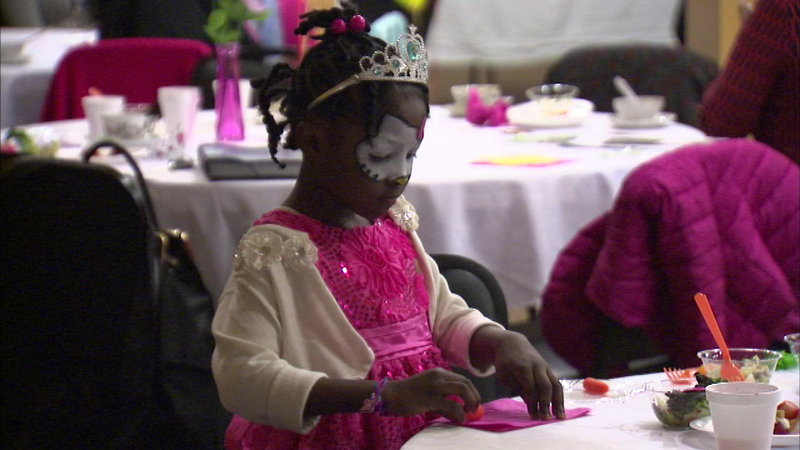 CHICAGO (WLS) -- Dozens of inner city children were treated to a tea party and healthy lunch Saturday afternoon at the Sankofa Cultural Arts Center in the Austin neighborhood. The kids were taught the importance of eating healthy and exercising regularly, while dancing and having hula hoop contests. Representatives from Get Covered Illinois were also there to help parents choose health insurance plans.